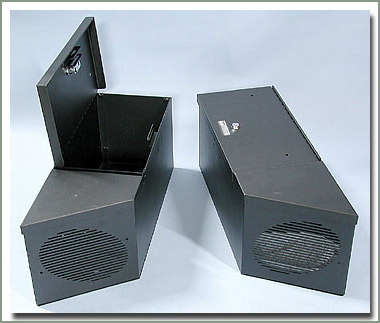 Tuffy individual Speaker Boxes fit one 6 inch x 9 inch speaker. Can be mounted on a flat surface. Dimensions: 10 1/2 inches long, 8 1/2 inches high, 4 inches deep in front, 6 1/2 inches deep in the back. Sold in pairs. Available in colors Black (B) or Light Gray (LG). Tuffy Speaker & Storage Box Combination has room for one 6 inch x 9 inch speaker in each box. Storage compartment lid has locking lid with gasket. Dimensions: 24 1/2 inches long in the back, 8 5/8 inches wide, 9 5/8 inches high, 19 1/2 inches long in the front. Sold in pairs. Available in colors Black (B), Dark Gray (G), or Light Gray (LG). 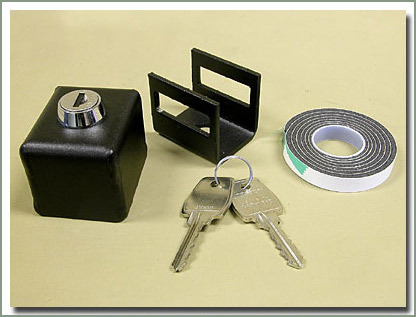 The Tuffy Security Bolt Lock is designed to protect valuable bolt on items. The Bolt Lock installs easily to any 5/8 inch diameter or smaller bolt. Max size socket is 9/16 inch. Made from strong 11 gauge steel finished in durable black powder coat.